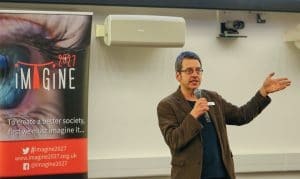 George Monbiot’s arrival to talk in Cambridge Commons’ Imagine2027 programme on 22 February aroused the most intense media and public interest of all the lectures so far. There is a marked contrast with his pretty un-starlike demeanour, mixing as he does a bottom-up engagement tocommunity, sober political and social analysis, and references to a wide range of authors and findings with a cheeky wit. So let’s try and pick out the bones of his narrative from a very full agenda. He opened with the crisis of the failing neo-liberal ascendancy and the failure of alternative politics to replace its ideas – its ‘story’. Change, he says, only happens when we replace a story with a new story, and in 2008 we did not have a story for the new era that was ready to emerge. There was a need to develop a story that made sense of the world and people’s place in it. For Monbiot, a ‘politics of belonging’ provides a narrative framework to take over. As well as the political and economic spheres, there should be also be a dominant sphere of the commons in which the community would share resources equally, with rules and negotiations established to manage them. Let me pick out two interesting viewpoints from the evening. First, he argued that we had to break ‘patrimonial wealth’ and pursue high levels of tax not simply for purposes of redistribution but to break down the gross inequalities in wealth that distorted society. Land values were a speculative phenomenon that made housing unduly expensive and there should be a land value tax. And the Bernie Sanders campaign for the Democrat candidacy in the US presidential election was a model for political campaigning. It did not rely on big money, but was big on volunteers, with 100,000 volunteers by the end of the campaign. Lastly, he insisted that we had to be ready with our story for the next election. 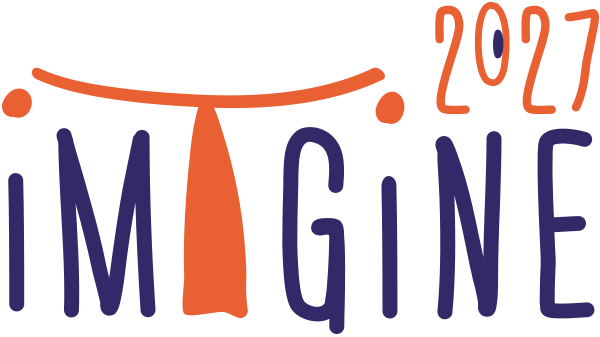 Hopefully Imagine2027 is one initiative which is preparing the way.